Reminiscent of the stately arbors found in the English countryside, this piece is available with or without our lattice extensions, or with any of our gate styles, as referenced in our Arbor Gates and Extensions section. 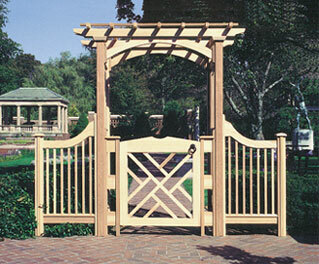 The arbor is shown here with the Chippendale Gate and the English Arbor extensions. 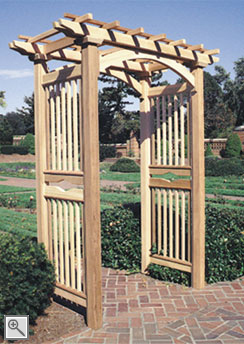 This substantial arbor utilizes solid 4" x 4" posts and balustered side panels employing 1" x 1" stock. 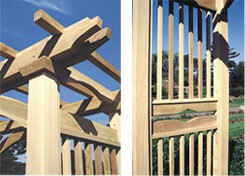 Constructed of western red cedar and stainless steel fastenings.